Blas has an accreditation worth 3 undergraduate credits, which is equivalent to 6 ECTS credits. To gain this, interested students undertake the tuition given and attend lectures and extra curricula events in excess of 50 contact hours. For interested students, the accreditation experience begins with the student being added to the University of Limerick’s online resource system called ‘Sulis’. Here the student will be able to access lecture slides and academic material on the subject of Irish traditional music, song and dance prior to the start of the programme. On arrival to Blas at the Irish World Academy of Music and Dance, the student undertakes the tuition given and attends lectures and extra curricula events in excess of 50 contact hours. At the end of the two weeks, the student completes a written assignment. Click on the following links to view the module outline and sample timetables of the programme. While the University of Limerick provides accreditation to the successful student, the onus is on the individual to request and confirm that this accreditation is recognised by the relevant institution. Please Note: Accreditation is only available for those students undertaking the full two week study period. If you wish to take the accreditation option, please indicate this on your application form. 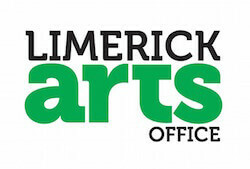 *** Accreditation can be gained in instances where your home university recognises University of Limerick accreditation. The onus is on you the student to request and confirm with your home institution that this accreditation is recognised.